Wind Energy refers to the harnessing of both offshore wind and land-based wind. 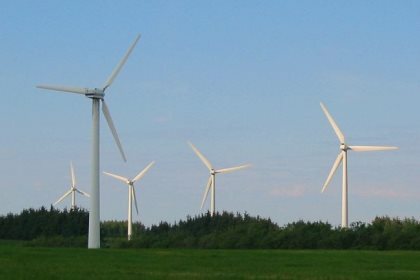 Wind turbine technology is very similar for land-based and offshore wind; nearly all commercial windfarms are composed of three-bladed turbines. 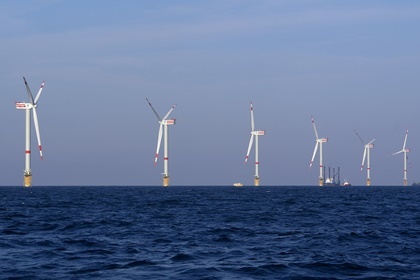 Offshore wind turbines have several foundation designs, including monopoles, tripod fixed bottom, gravity foundations, gravity tripod, and floating. More information on these wind energy technology types can be found on the Glossary page. Here, you will also find information about stressors associated with device components and potential environmental receptors, the tags by which Tethys organizes information. 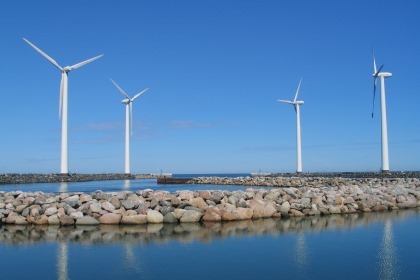 WREN (Working Together to Resolve Environmental Effects of Wind Energy) is an international collaborative project focused on connecting wind energy practitioners from around the world around environmental issues. More information on WREN can be found at the About WREN page. Hosted by Tethys and WREN, there are many archived webinars that can be accessed. You can sign up to receive invitations to live webinars here. There are thousands of organizations, universities, and agencies involved in wind and marine energy around the world. This page provides a list of over 1000 organizations that have research or literature available through Tethys. While Tethys has become the go-to site information and literature on the environmental effects of wind energy, there are many other databases with a similar focus and can be valuable resource.